You can configure Adaxes Web Interface to allow users to view only a part of the Active Directory tree, or completely hide the Active Directory structure. 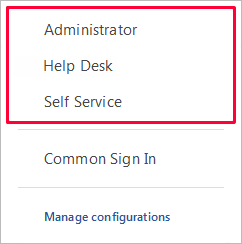 For example, if the Help Desk team provides account support for a specific department, you may want them to see only the part of AD structure related to that department and nothing else. In this tutorial, you will learn how to limit the visibility of the Active Directory structure in Adaxes Web Interface. You can limit users to view only objects located in a particular Organizational Unit or domain and hide the rest of the AD structure. For example, you may want users to see only their own OU and nothing else. 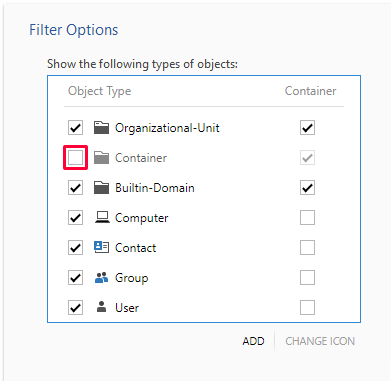 You can specify what types of containers are displayed in the Active Directory tree. For example, you may want users to see only Organizational Units and hide containers of other types. In the Filter Options section, uncheck the types of objects you want to hide. Also, you can configure the Web Interface to display only the containers that match certain criteria. For example, you may want the Active Directory tree to contain only the Organizational Units with the word Department in their names. 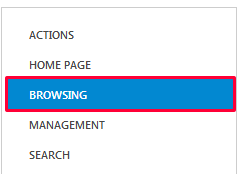 In Adaxes Web Interface, to browse the Active Directory tree and navigate to specific AD objects, the Browse dialog is used. It is possible to either completely disable the dialog, or hide it in specific Web Interface components. 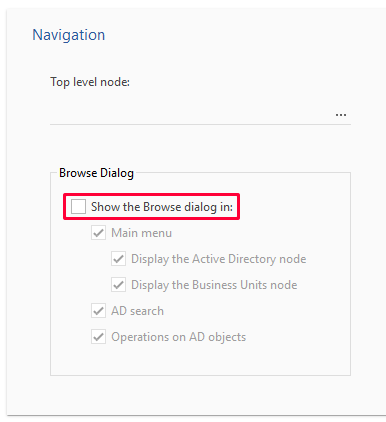 The Active Directory tree in the Browse dialog is displayed starting from the Top Level Node. In the Navigation section, clear the Show the Browse dialog in checkbox. Active Directory object paths allow users to see the location of an Active Directory object and navigate to parent objects. It is possible to either completely disable the feature, or disable it for specific Web Interface components. Active Directory object paths are displayed starting from the Top Level Node. 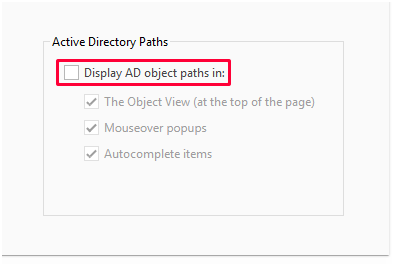 In the Navigation section, under Active Directory Paths, clear the Display AD object paths in checkbox. 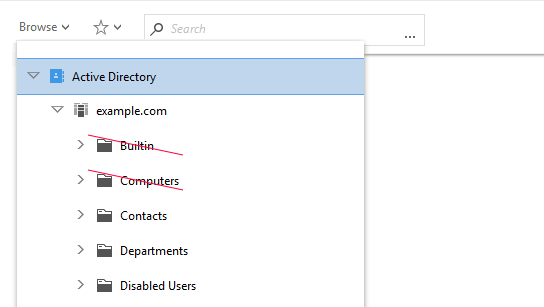 If you have restricted access to the Active Directory structure, users may no longer be able to find the AD objects they need. To ensure access to the necessary objects, you can place them on the Home page of the Web Interface. Business Units are virtual Organizational Units that can include Active Directory objects spread across different locations but match certain membership criteria. 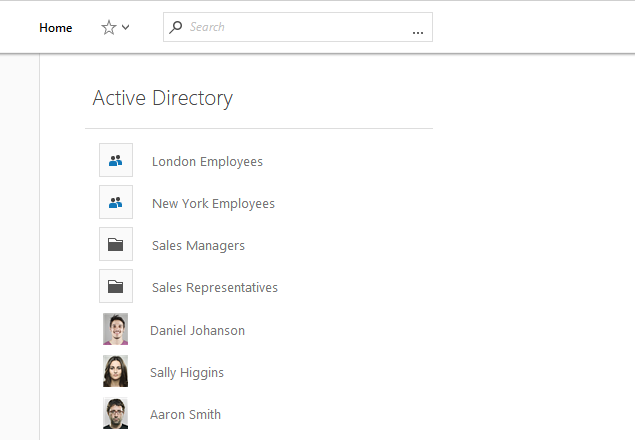 With the help of Business Units you can create alternative hierarchies of Active Directory objects that can be used instead of the real Active Directory structure. 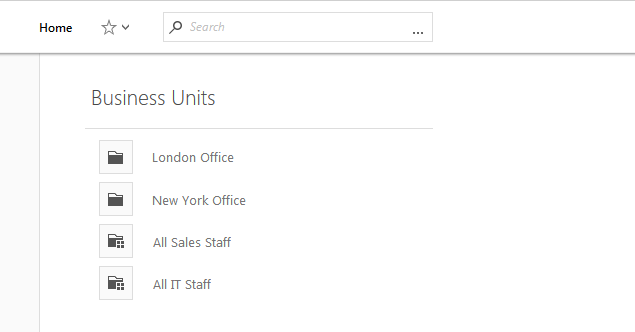 To enable users to use Business Units, you can make them available on the Home page of the Web Interface. For details, see Customize the Home page. Also, you can configure the Browse dialog located in the main menu to display Business Units only. 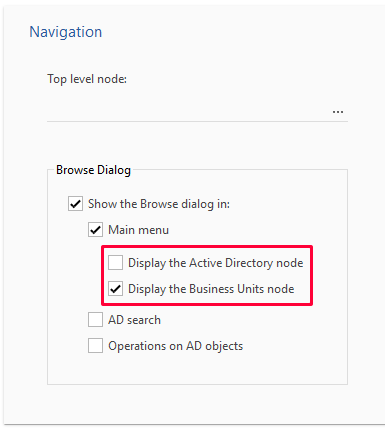 Uncheck the Display the Active Directory node checkbox. 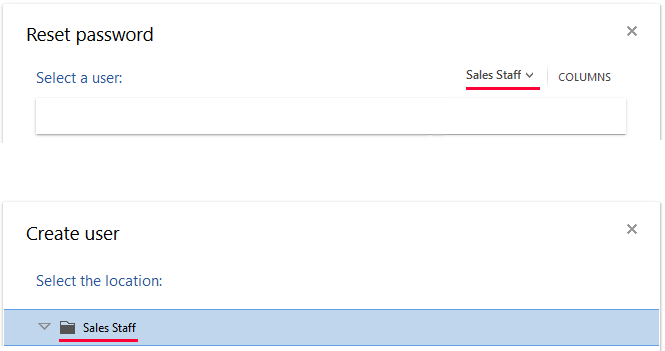 Check the Display the Business Units node checkbox.